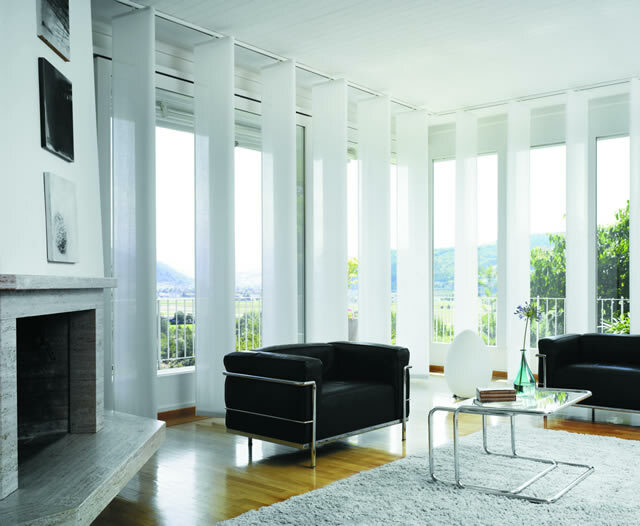 The ultimate in modern sophistication, Panel Blinds take their design origins from the minimalist style of the Japanese culture. Visually attractive from all angles, Silent Gliss Panel Blinds provide maximum coverage for large windows, sliding doors and bi-fold doors. 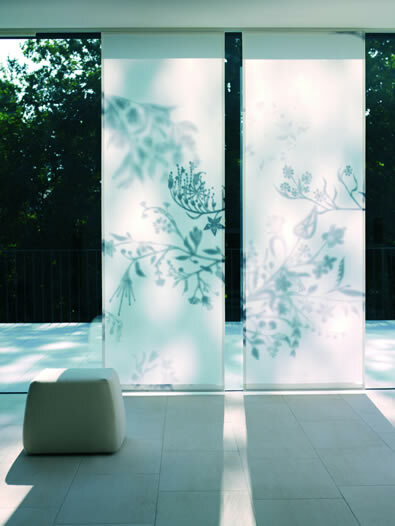 They’re also versatile enough to use as mobile room dividers or as a backdrop for a unique display area. 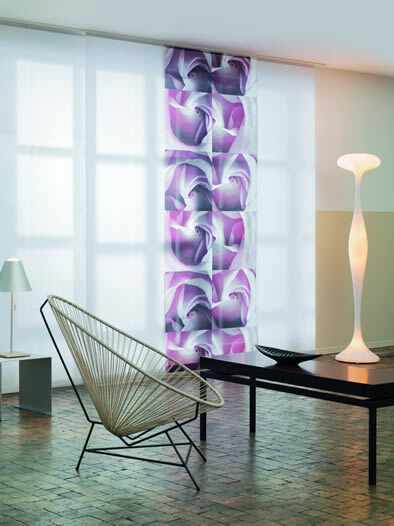 The economic design of Silent Gliss Panel Blinds mean they use much less material then curtains and can be treated in a variety of ways with our wide selection of European and Australasian designer fabrics. 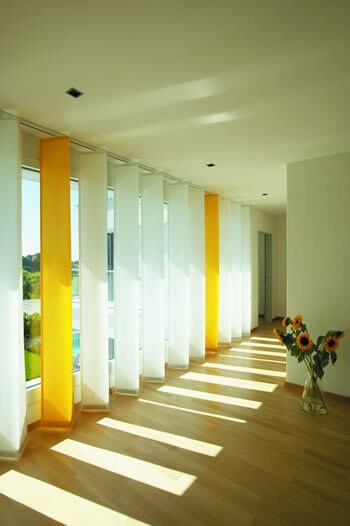 Ask about our Silent Gliss Folding Panel Blinds as another innovative window treatment for your home. Looking for a simple and easy window furnishing with a touch of class? Our Gold Coast Panel Blinds combine function and design into one great product. Call Rivage on (07) 5532 9458.